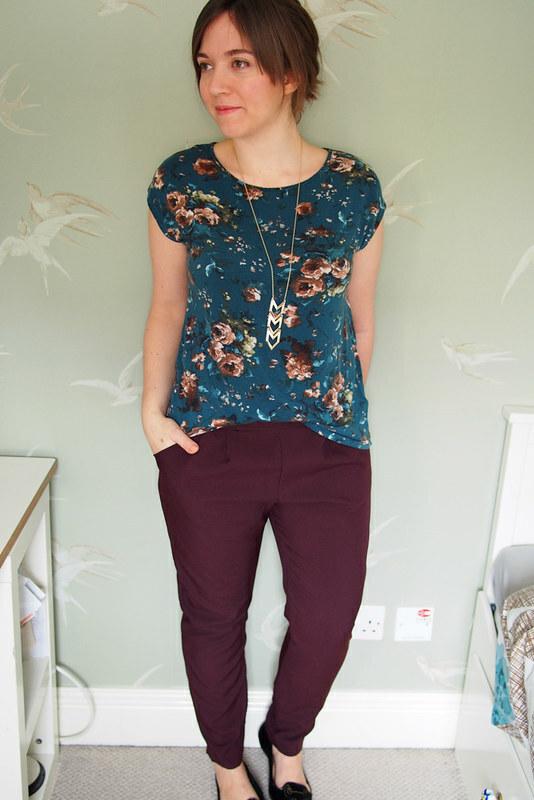 New UK-based pattern company Simple Sew offered to send me one of their patterns to review, and I plumped for the Classic Trousers. 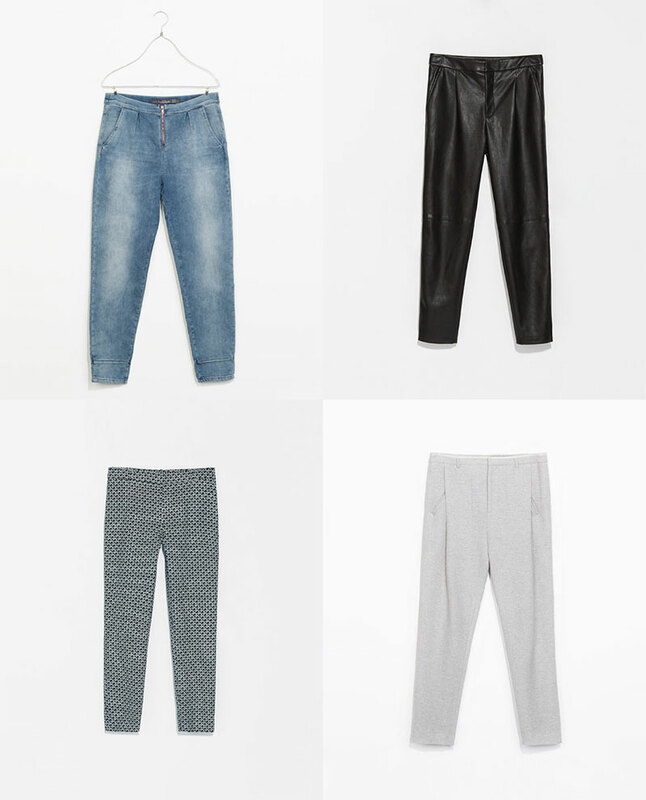 These are mid-waisted slim-legged trousers with front pleats, back darts, and a concealed zip at the centre back. The style lines are very simple: no pockets, fly, yoke, belt loops etc and as a result they’re extremely quick to cut and sew. That seems to be the entire premise of this pattern line, which promises everyday wardrobe basics to suit your style. The single piece folds back on itself to create the inner pocket and the yoke all in one, very clever and hardly any extra effort. Anyway deviations aside I really like this pattern. 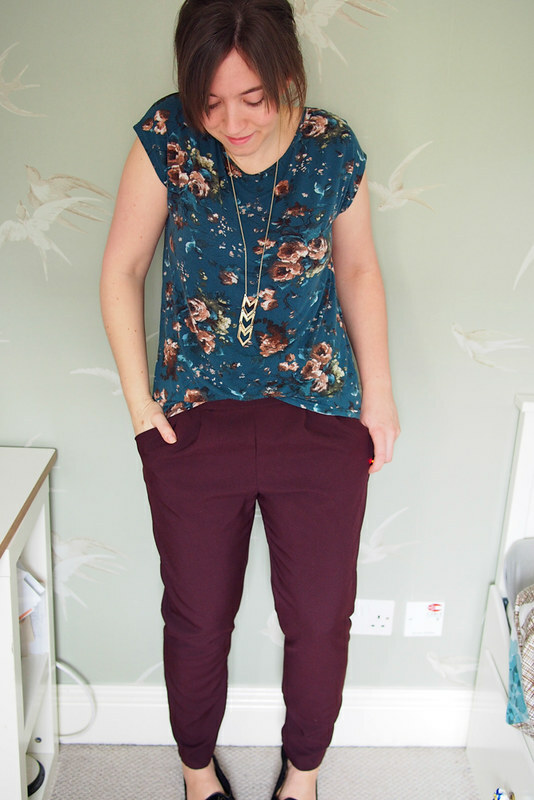 The fit was pretty spot on with no adjustments and came up the same as my RTW clothing size. I was expecting the waistband to be higher based on the fashion sketch but it’s actually below the belly button. If you’re tall, you may need to add a bit of leg length as I’m fairly short and the length was good for me. I’m not sure this pattern would be suitable for complete beginners as I think the formatting of the instructions could do with being a little clearer in places. It took me a bit of searching to find out what interfacing pieces to cut, and I needed some additional internet support to remember how to get the concealed zip in. However, Simple Sew do offer full email support so you could always contact them if you got stuck. 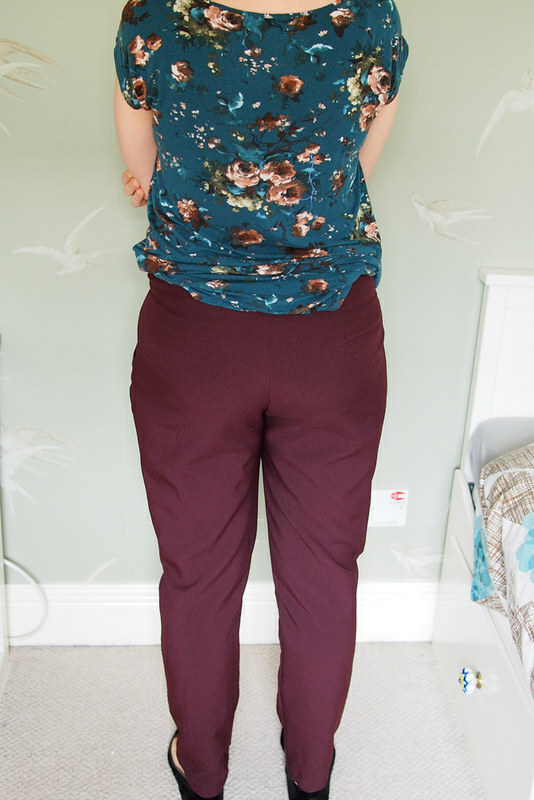 And I think they’d be a great first pants project if you’re already a pretty competent sewist as they are very easy to fit – I know that fit issues put a lot of people off sewing pants. To which I say DO IT, sewing pants is so much fun! For once I went for a plain fabric and sewed this pair up in a ‘Panama’ polyester that I grabbed on a Spoolettes trip to Lewisham last weekend. I had to google to see what Panama was but it just means basketweave: it’s light, drapey and crease-free so ideal for woven pants. 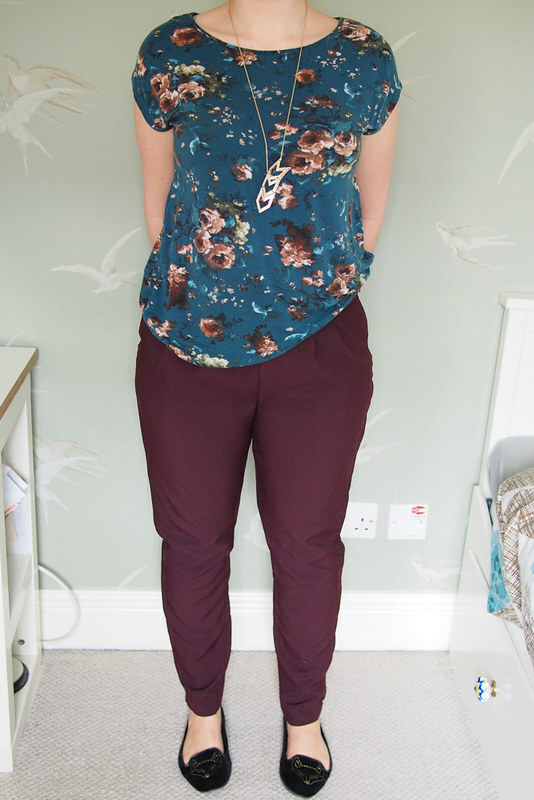 It was also only £2.90 a metre so these were some mighty thrifty trousers. 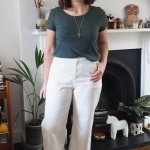 The fact that these are woven and non-elasticised means they’re a touch smarter than my beloved Burda 07-2011, but have the same ease of wearing. I think the best thing about this pattern is that it’s suitable for loads of types of fabric and would really help to build up some diverse staple pieces that you couldn’t really tell are from the same pattern. I fancy a chambray pair already (with a metal zip at the centre front), perhaps black peachskin and grey flannel. And they’d be a great canvas for my beloved prints – I have some indigo ikat that’d be just dreamy for these. 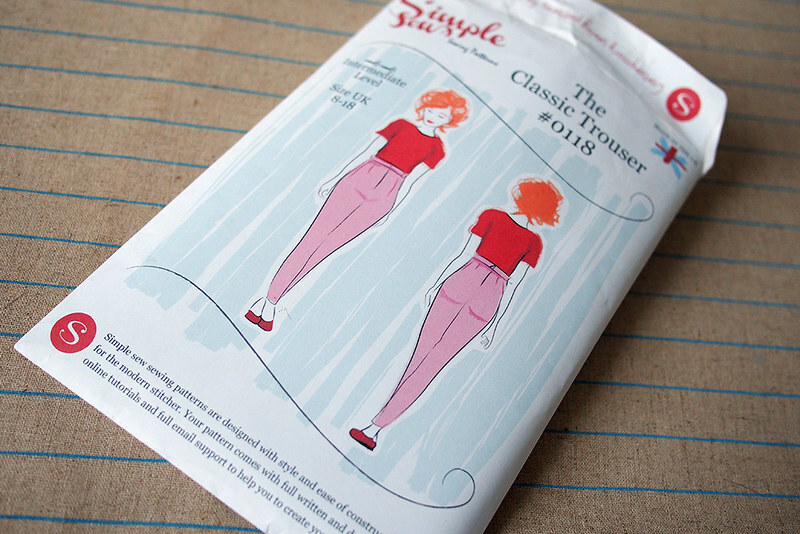 Thanks again to Simple Sew for sending me this pattern for review. It’s a winner for me! 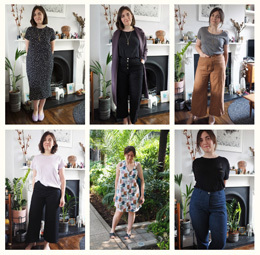 What do you think, are simple patterns sometimes fun to make and wear or do you always like a bit more meaty detail to your garments? Lovely! 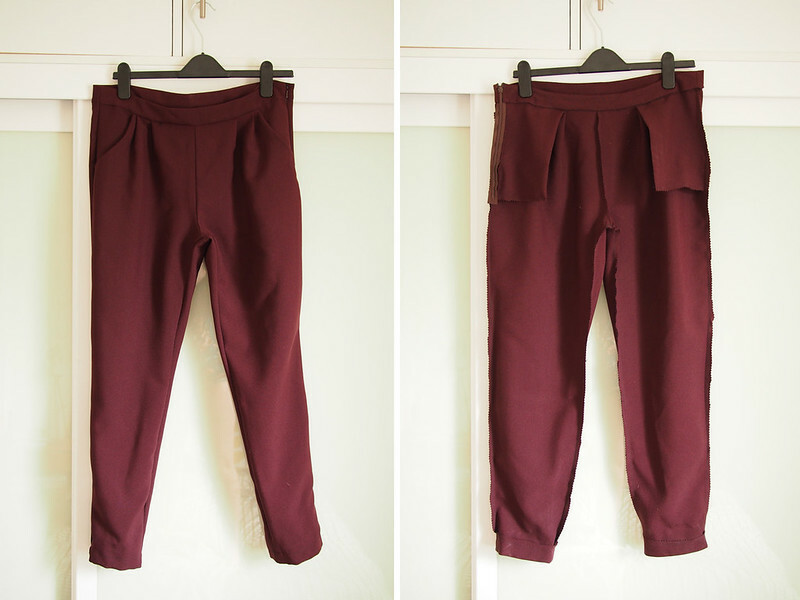 Great basic pant pattern! 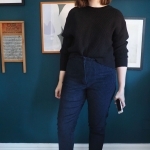 I love pleated, tapered pants, and I love how you styled them here. Very modern, slightly slouchy, and VERY chic! Great project! I love your colour of choice, and this pattern might take the fear away from me. I have never sewed pants, but I did not start sewing that long ago. I must soon conquer this fear. Love your posts! Thanks! I’m afraid I didn’t make the top, but it’s rather like the Grainline Hemlock without its sleeves. Great trousers! That colour is AMAZING and you keep inspiring me to (want to) make an exciting pair of pants. 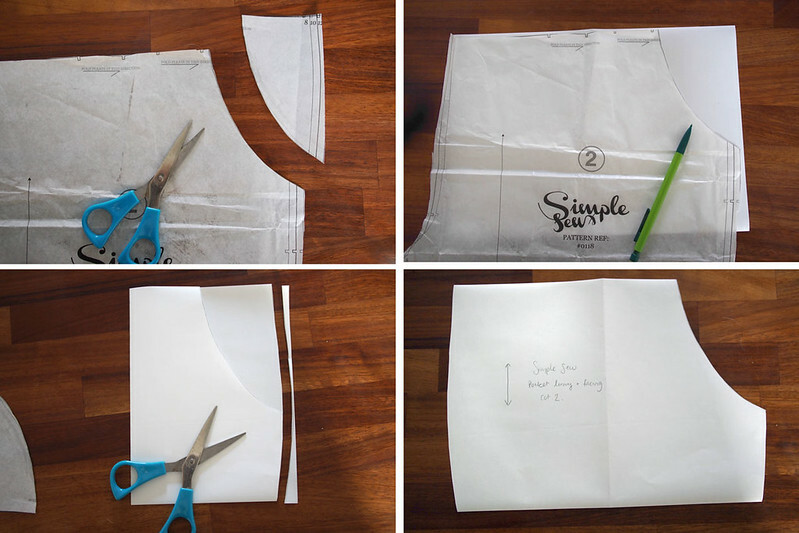 :) I love sewing both simple and complicated things… even the more involved sewing projects are more instantly gratifying than my slower-than-molasses knitting! Thanks! It’s a funny old colour – red/brown/purple depending on the light. I do like it though and think it’ll go with a lot. Man, don’t talk to me about knitting. MY current UFO is sitting sad and unloved… might be done by next winter if it’s lucky. These look like such a great pattern. 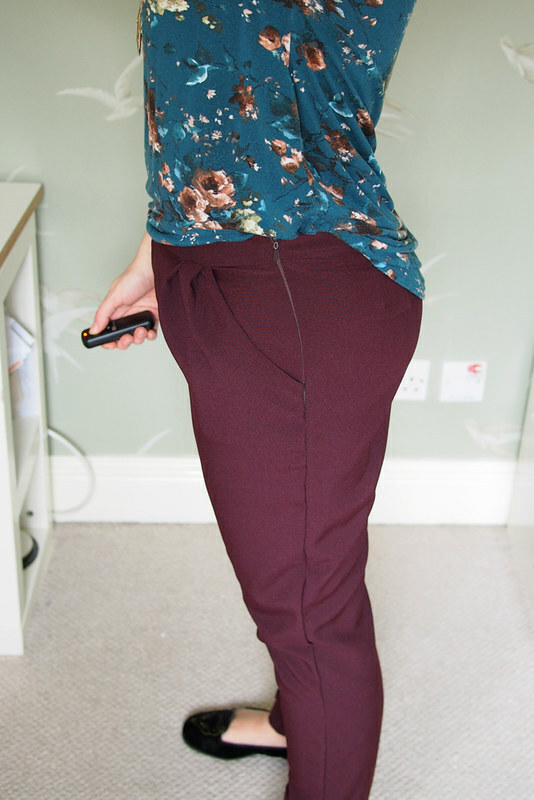 I’m really impressed with the pocket adjustment you made (similar to a simplicity skirt I’ve got – the greats thing about a pocket piece like that is you can french the seams too!). 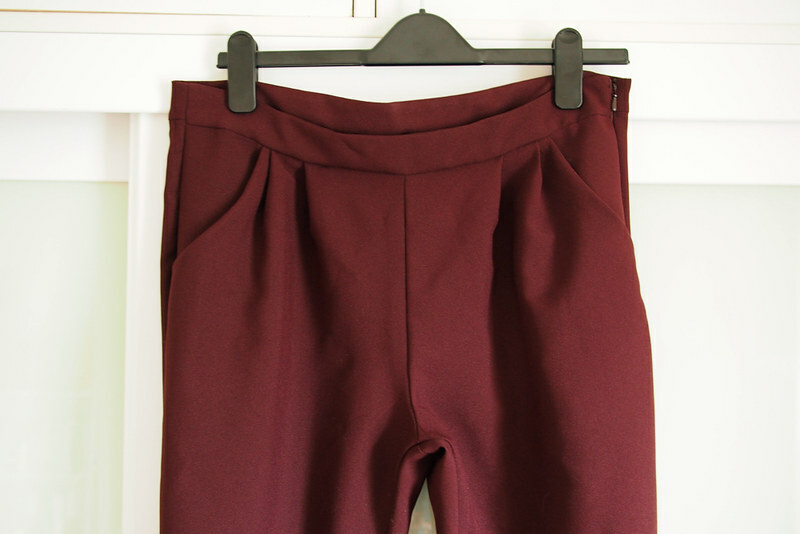 I’ve made a few pairs of pants and shorts with a side invisible zip, and I’m keen to try one in the back centre seam because I find the pressure of ones curves can kind of make the side one a bit weaker and more visible. Thanks for the review! 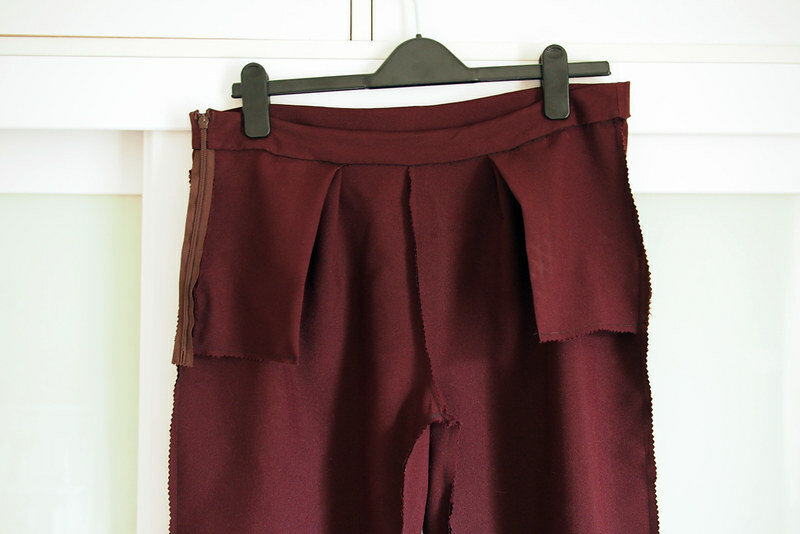 I was lazy and pinked all my raw edges but I’d French seam next time – as long as it didn’t get too bulky and visible? You’re right actually, you can see mine straining a bit and making the zip a bit less-than-invisible. I put it in the back in my muslin and just felt I’d feel a bit self-conscious about it. Could also try a cool feature exposed zip in the front or back, or a lapped zip. These are so gorgeous! I love the color! I think it’s nice to alternate simple and difficult projects. After finishing a big project with tons of details, it’s fun to dive into a quick sew! What a genius pocket! The pants look good on you, though I don’t think the pleats would work for me. Love! 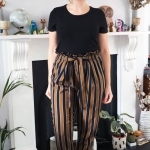 I basically already own these trousers and you are definitely tempting me to have a go at making them (esp as they suit you so well and sizing clearly works). You make GREAT pants! These and your Papercut Pleated Trousers are total pants-making inspiration for me. So adorable, I was thinking how cute it would be to make a matching jacket if one wanted a bit of a dress up suit. Love the fabric that you chose! Very sweet! Perfect pattern for this fabric! Very flattering on you! I’m sending my unopened pattern back as I’m not happy that it doesn’t state what rise the wAist is. The fashion sketch promted ted me to buy, it’s so misleading. After watching Katie I don’t like this one.